The women of Malawi, like many other women in developing countries, struggle to find their way out of poverty and build a better life for themselves and their families. Girls who receive an education feel empowered. They gain employment opportunities; are respected within their communities; and are able to make their own choices. Without education, women are often forced into early marriage and lives of extreme hardship. Weaving a Malawi Sunrise tells the story of Memory Chazeza’s quest to get that education and build a school for girls. 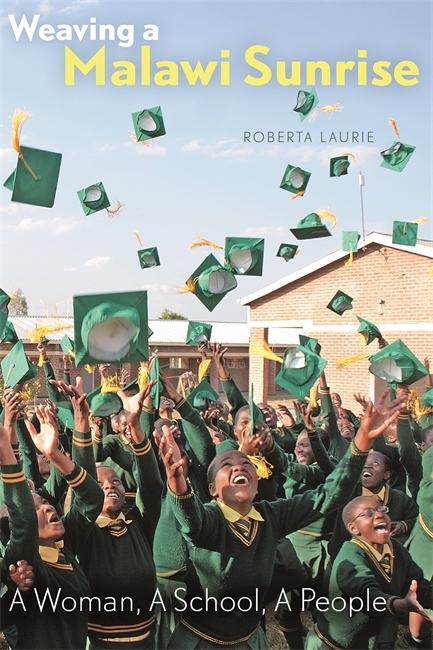 Roberta Laurie masterfully combines personal narratives with scholarly analyses of social and economic development issues. She captures, with ease, the voice of Malawian girls. Readers interested in Africa, global affairs, women’s studies, development, and international education will give high marks to Weaving a Malawi Sunrise. Roberta Laurie completed her master’s degree in Environmental Education and Communication at Royal Roads University. She is an instructor in the Bachelor of Communication Studies program at MacEwan University in Edmonton.